Welcome back!! I am so happy to start bringing Mentoring Mondays back to everyone! 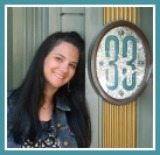 This week we have Amanda Ficili of Disney Go To Girl mentoring us on giveaways. I had asked you what you wanted to see here on Mentoring Mondays, and when giveaways was requested I knew I had to ask Amanda to be here, I think she does them better than anyone. Just in case someone missed your last Mentoring Mondays interview, introduce yourself and describe your blog. Hi guys! It’s Amanda from Disney Go To Girl and I want to start by thanking Donna Kay for having me back as a mentor! For those of you who aren’t familiar with my blog, Disney Go To Girl is a travel blog focused on promoting Disney Resorts as luxury travel destinations. I pride myself in also offering the latest in official Disney News, Disney Shopping and Fashion, Dining and Resort Reviews, Eco-friendly travel tips, and the most fabulous Disney-inspired giveaways! How do you choose the prize for a give away or contest? Is it important to be able to connect the prize to your blog? · I require the company to provide me with a sample to base the review upon as well as one to giveaway. Please feel free to view my PR page here, but be kind and please respect my copyright when creating your own! Do you work with companies to sponsor the giveaways/contests? If so what is the best way to connect with them? I almost always work with companies and sponsors on giveaways. Be sure to have a PR page linked to your blog. This is what potential sponsors and PR firms will look for to see if you are PR friendly. On this page, you should describe your blog and add a little about yourself. Let them know that you love hosting giveaways and then describe the type of products you are interested in promoting and why. You can also list your statistics here, but I prefer to send a Media Kit upon request. Tip: It never hurts to ask!!! A good way to get your feet off the ground, is to approach companies yourself… But BEWARE: Make sure you have your stuff together before you put yourself out there! It is a good idea to start by pitching to companies you are familiar with. Introduce yourself, and let them know what’s in it for them by describing your plan of action. Let them know how many people you will reach with the giveaway and what you plan to do to promote it… include traffic hits, FB fans, Twitter Followers, Email Subscribers, etc. What time frame do you use from the announcement of the giveaway to the date it is awarded? The time frame definitely depends… Sometimes, the sponsor will specifically request a particular time frame, and if they don’t, I just kind of feel it out. The more valuable the giveaway, the longer duration, in most cases. As a rule of thumb, I would recommend having your giveaways last no less than 2 weeks. What is the best way to use the giveaway to generate more readers for your blog? Once again, keep giveaways restricted to items that coordinate with the theme of your blog and promote the heck out of them using every possible avenue. Don’t just giveaway something for the sake of giving it away… Give Away items that are relevant and will entice readers to keep coming back! I frequently require entrants to “follow” me on various social platforms as a required entry and surprisingly, I have maintained 99% of all followers after the giveaways have ended. Another trick is to reach out to those outside of your circle! You will quickly notice that you have a large amount of “repeat” entrants on giveaways… those who have previously entered something on your blog. This is fine, but you aren’t generating ne followers by having them enter! Reach out to other blogs and blog hops outside of your circle, and promote to them. Look for “giveaway hops” in which you can promote your giveaway to a totally new audience! Any tips for keeping everything organized, there is so much information involved in a giveaway or contest? YES!!! Up until last month, keeping the giveaways organized was a nightmare for me because I was doing SO many. I was trying to be sure to schedule them in a way that made sense, then you have to keep a close eye on the entries to make sure everyone understands the whole process. On top of that, you have to be in contact with the sponsor to let them know how the giveaway is progressing. When the contest ends, there is a lot of verification to ensure the correct number of valid entries…then you must choose and notify the winner. Recently www.Rafflecopter.com came out with a widget that has made giveaways painless. The software is currently in invitation only beta mode, but sign up to be added to the waitlist! When choosing a random winner from entries, do you use a program or just names in a hat? Before the release of RaffleCopter I used a random number generator at http://www.random.org/ to choose the winner. You have to verify the number of valid entries then enter the numer into the random number generator which displays the winning comment! How long do you allow for shipping the prize to the winner? If I am personally shipping the prize, I try to mail it out as soon as possible, but recently I have begun telling sponsors that they are expected to ship directly to the recipient. Do you prefer a giveaway or contest? Does one generate more interest than another? Which one of your giveaways/contest has generated the most interest from your followers/fans? Why do you think it was so popular? One of the most popular giveaways just ended… The $200 Disney Gift Card Giveaway! Who couldn’t use $200 extra Disney Dollars!? This giveaway had nearly 2,000 entries!!! I am also generating a lot of traffic from my current giveaway : A 3 Night Stay at Caribe Cove Resort in Orlando! These giveaways fit my blog perfectly, and my Disney readers and even my non-Disney readers would love to win a free vacation! I have several, but I really relate to Belle! I’m a Daddy’s Girl and a Dreamer who loves to read, enjoys Parisian Culture, and people have told me that I walk around with my head stuck in a Fairy Tale!!! Hey… What’s wrong with that!? If you DO pitch to a sponsor, don’t be afraid of rejection. Oftentimes you WILL get turned down, and many times, you’ll never receive a response! Keep trying! Disclosure: This giveaway is sponsored by This Company. I received a complimentary item and one to giveaway. This does not affect the opinions expressed in this article. These opinions are true and are genuinely my own. Amanda Ficili is the creator of Disney Go To Girl, a travel blog promoting Disney Resorts as luxury vacation destinations. She can also be found on Twitter and Facebook. Thanks so much for the fabulous tips and advice Amanda! I know some of you have more questions. Now Mentoring Mondays is offering you the opportunity to ask Amanda questions which she will answer later this week. Simply email your questions to disneydonnakay@yahoo.com and they will be posted on a new Mentoring Mondays Q&A page. Don't be shy, ask away!! Now, it's your chance to win!! Amanda designed my new Mentoring Mondays button (see it at the top of the post), and she is going to design a button that will link back to your giveaways! Keep watching later today for all of the details!! Another great interview! I have always been curious about how blog hosts keep giveaway entries organized. Also, thanks Amanda, for sharing your experiences! Thanks Beth!! Amanda is the giveaway guru!! I was going to tell you how adorable your new button was... I just love it! It comes as no surprise that Amanda did it. I absolutely adore the look of her blog and buttons and all that. Congrats! And thank you Amanda for coming back and sharing all this great info with us! Your giveaways are certainly some of the best and I always get so excited to see a new one come out. Bird, you have been a very busy girl this morning!! Thnanks for always stopping by, I love Amanda's blog and she was definitely the first person I thought of when I wanted to do a Mentoring Mondays on giveaways!! Have a great day!! Diane, I hope all of my DM's to you this moring didn't confuse you too much!! Thanks for always being so supportive of me, it means a lot!! No I think I got it, We are leaving on vacation this week and my head is focusing on many different things, LOL.. Your posts are great and are very helpful to me.. It's always wonderful to hear from Amanda- her style and knowledge are so unique! So glad Mentoring Mondays are back (and stylin')! Great interview! Thank you for the great information Amanda and thank you Donna for putting Mentoring Mondays together! PS Love the logo! fabulous info! thanks so much!! I LOVE the logo for mentoring mondays!! !